Best Visual Artist 3rd place. 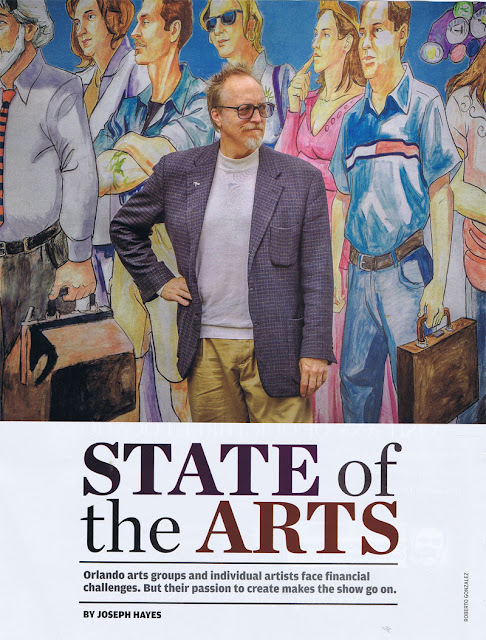 These are interviews and live performances of the best artists and people of interest. 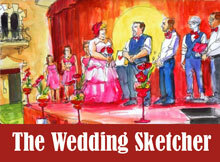 All episodes are recorded LIVE! every Wednesday at 5PM EST on WPRK 91.5FM hosted by Daniel Pacchioni. 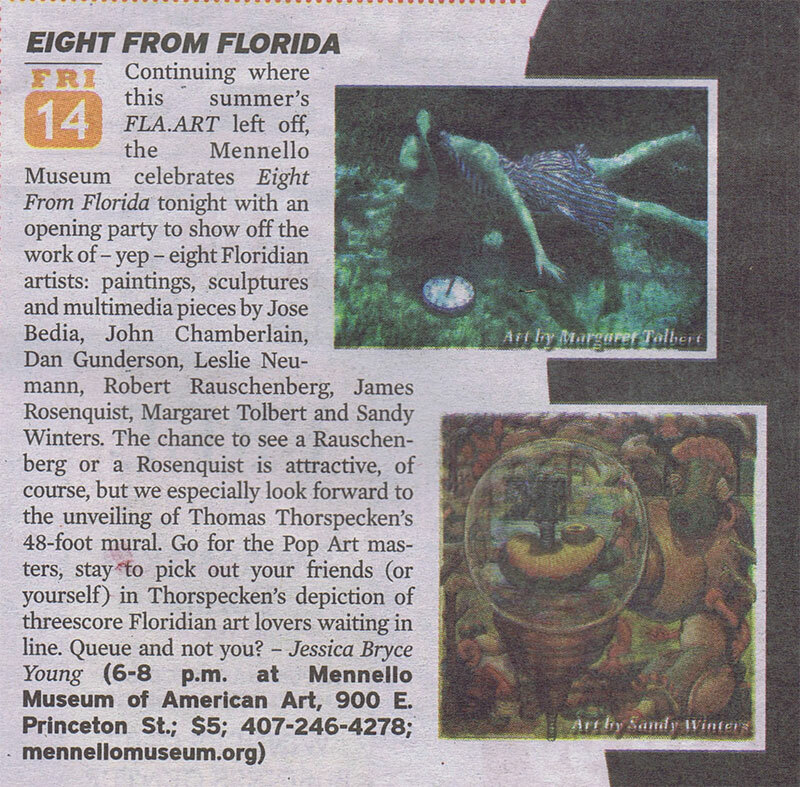 Terry Olson wonders who painted the Mennello Museum Mural. Free press for the New arts Center. 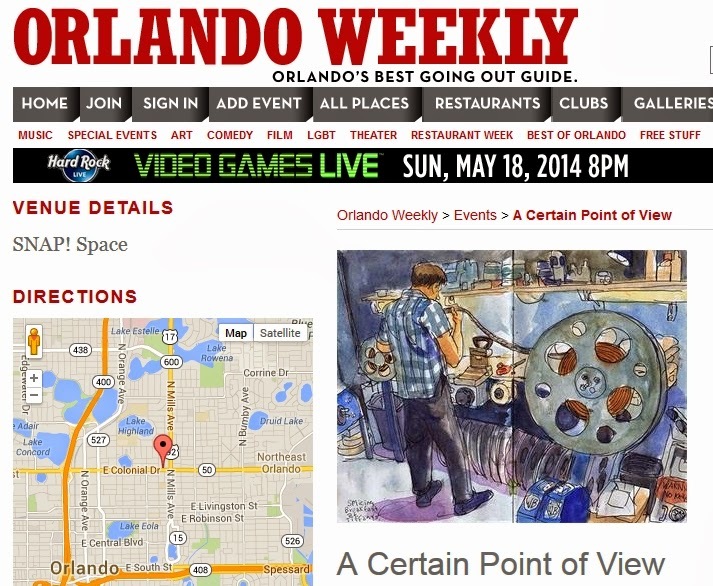 AADW featured as one of the top blogs in Orlando. 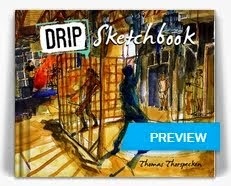 Article announcing the 31st World Wide Sketch Crawl. 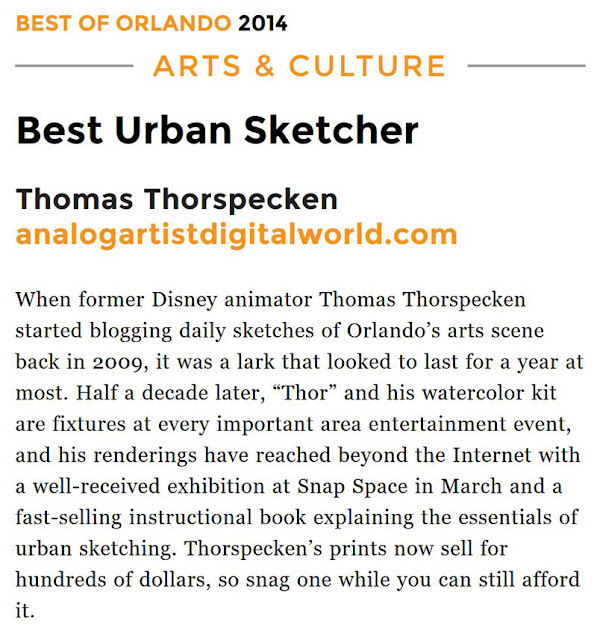 The Orlando Sentinel votes for Analog Artist Digital World as the Best Blog in Orlando. TheDailyCity.com video of the Sonesta Downtown Arts District Fundraiser. 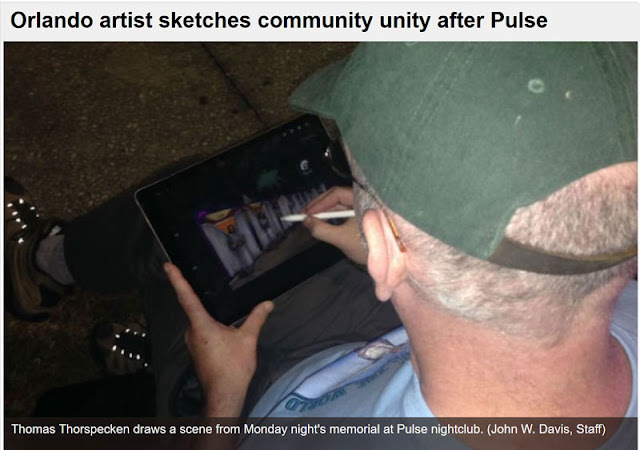 Matt reports on the Sonesta Mural creation. 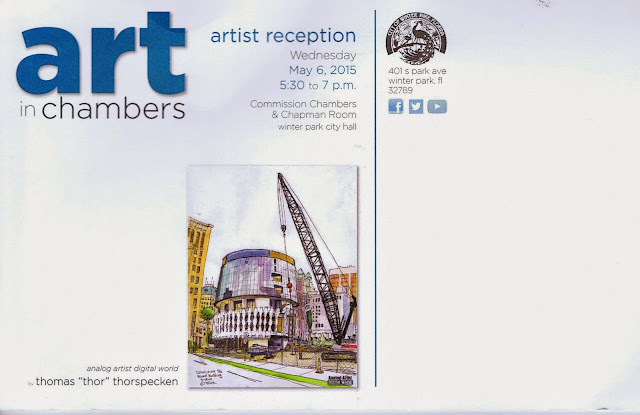 Carl F. Gauze writes about the Sonesta Hotel Downtown Arts Fundraiser. 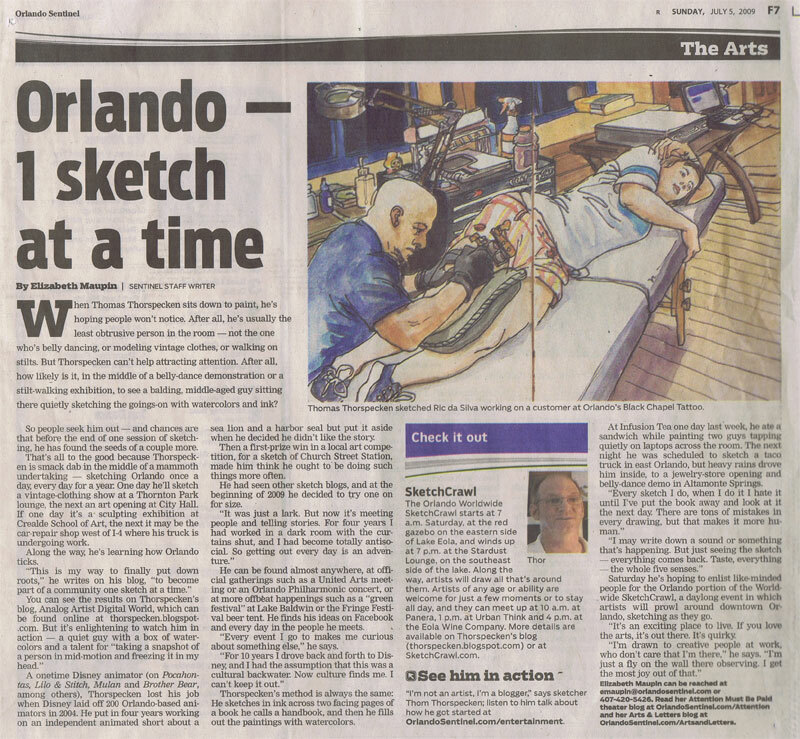 Review in Orlando Weekly of Thomas Thorspecken Sketches the Audience. 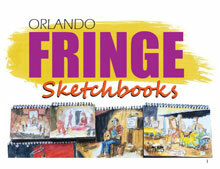 Thomas Thorspecken sketches the audience at the Orlando Shakespeare Theater. 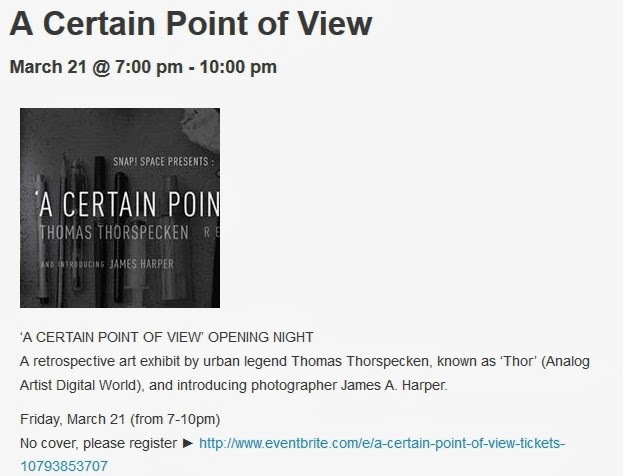 Jeremy Seghers interviews Thomas Thorspecken on WPRK radio. 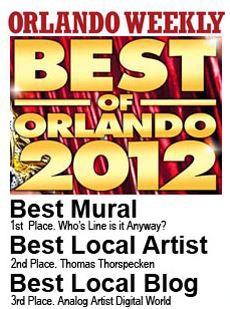 Voted third best local blog by Orlando Weekly readers in 2010. 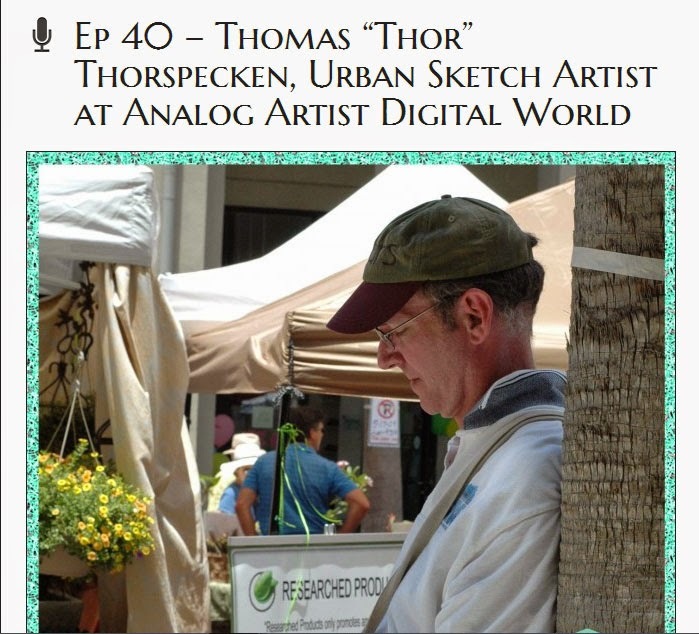 Interview with Thomas Thorspecken on the second half of the program. Video prepared for the Creative Mind Experiment a theatrical presentation at the 2010 Fringe Festival. 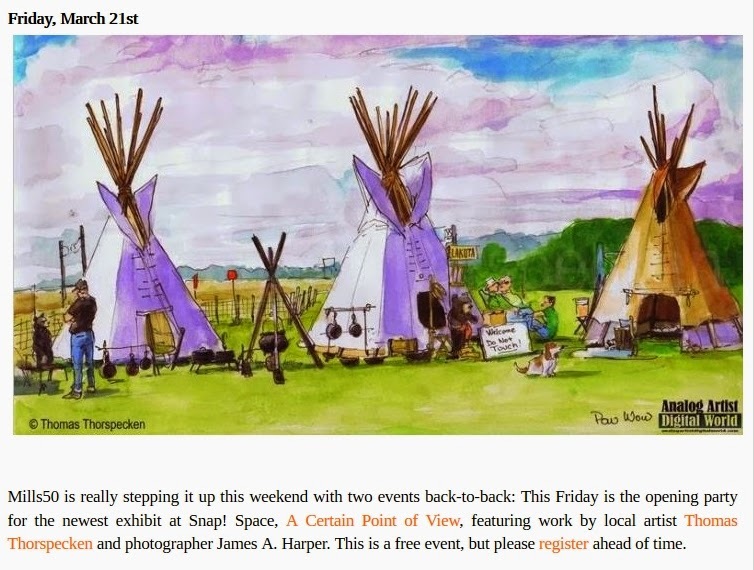 The Mobile Art Show hosted by The Daily City across the street from the City Arts factory. 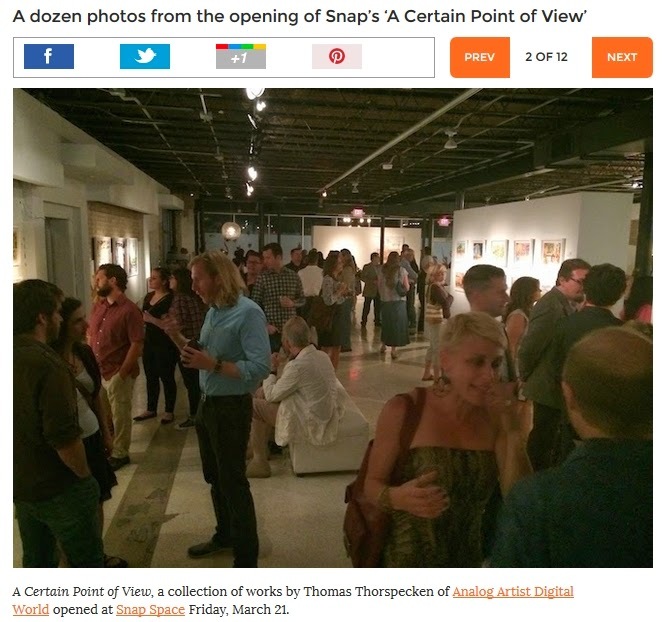 Article in Smile for Camera about the Analog Artist Digital World Mobile Art Show hosted by TheDailyCity.com. 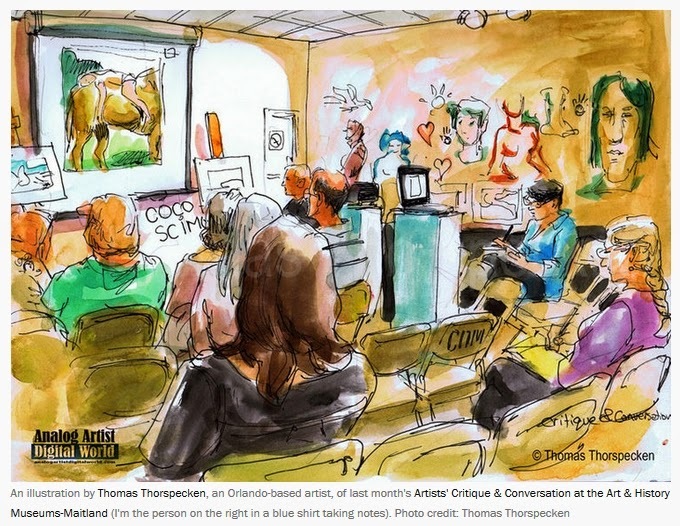 I sit in on a panel discussion about blogging in Orlando hosted by the Daily City. Radio Rickshaw Episode 104, I return the talk show hosts identities. Mention at 58:12 - 59:00. 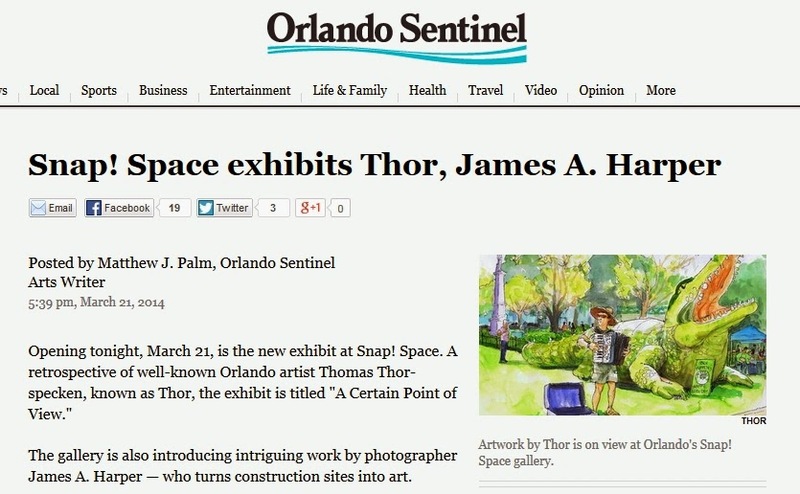 Thor appears in Winter Park magazine (pages 28 - 32) as he sketches a Radio WPRK Broadcast. Radio Rickshaw's 100th episode. I sketched the crew but held their identities for ransom. Interview is towards the end of the broadcast. 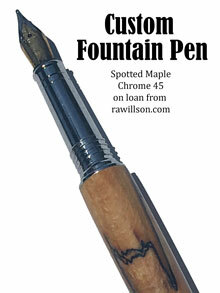 Internet radio broadcast. 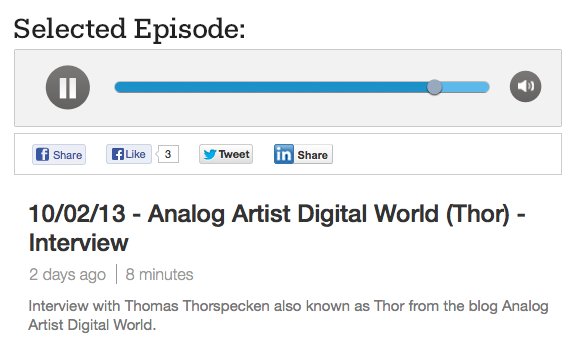 Analog Artist Digital World mentioned around 50:00 - 53:00. 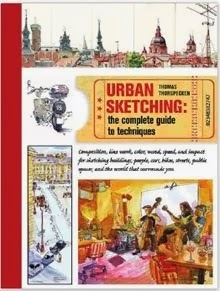 Midwest Magazine article about urban sketchers. 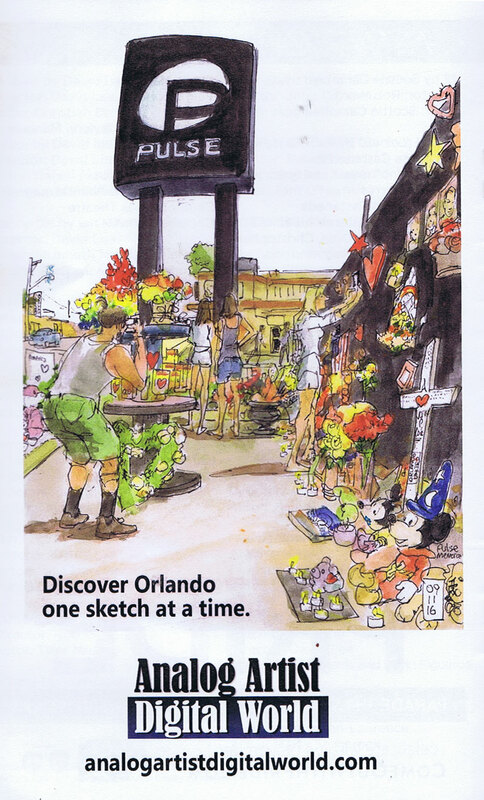 Orlando Sentinel article about the first SketchCrawl. 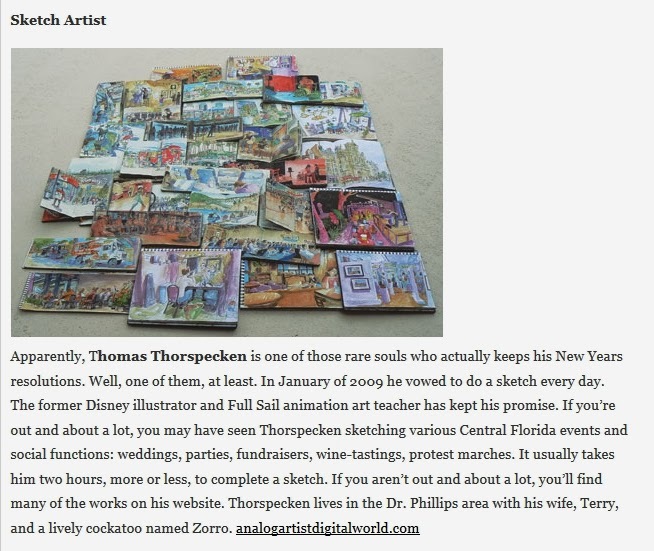 Audio interview of Thomas Thorspecken by Ryan Price of Florida Creatives. 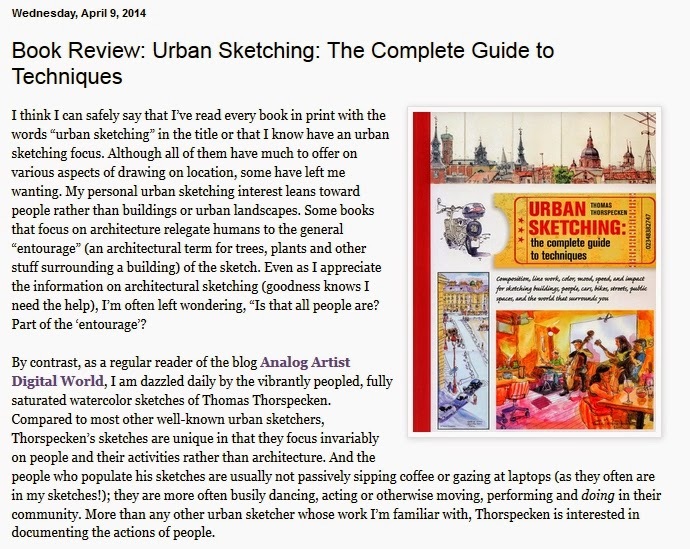 A short music video that documents an afternoon spent sketching at Meg Kat's studio. 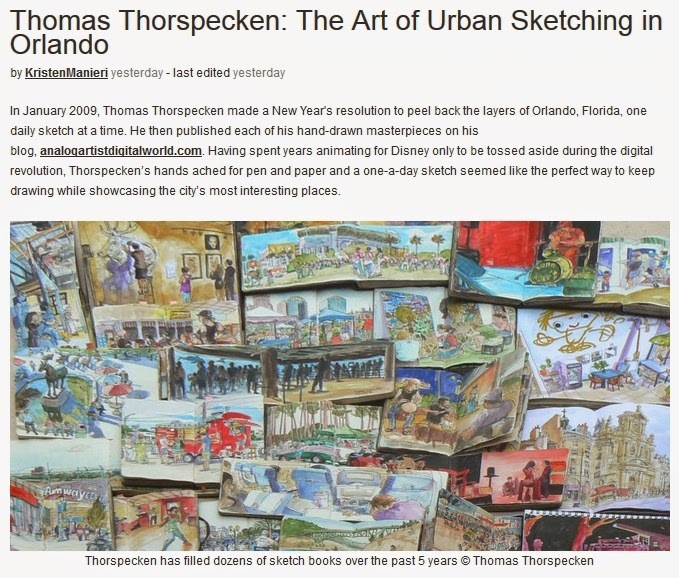 Orlando Sentinel Video interview with Thomas Thorspecken. 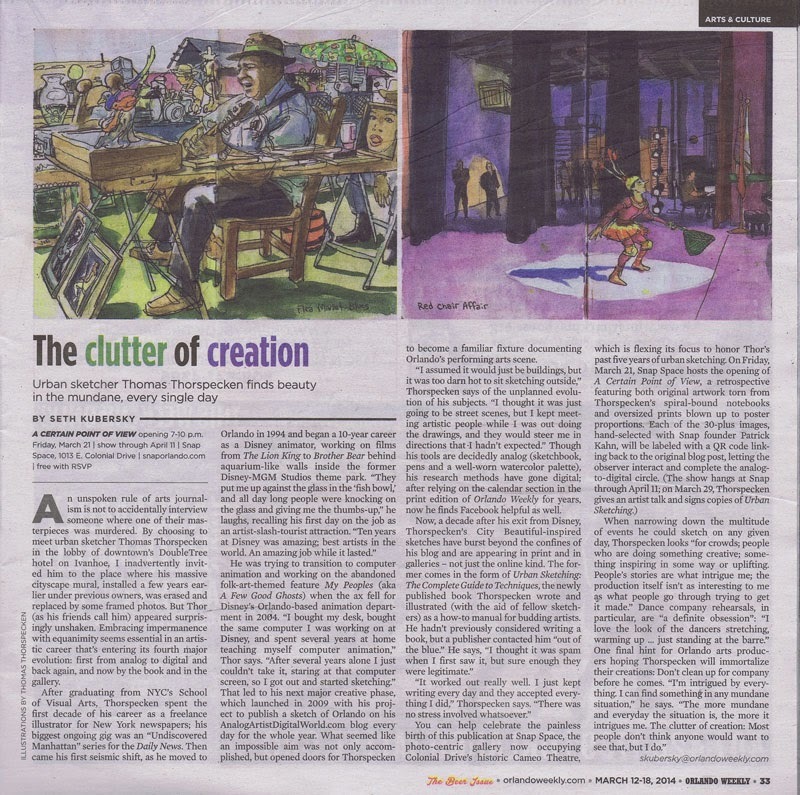 Short two page article on pages 12 and 13 about Analog Artist Digital World for In Progress Urban Arts magazine.